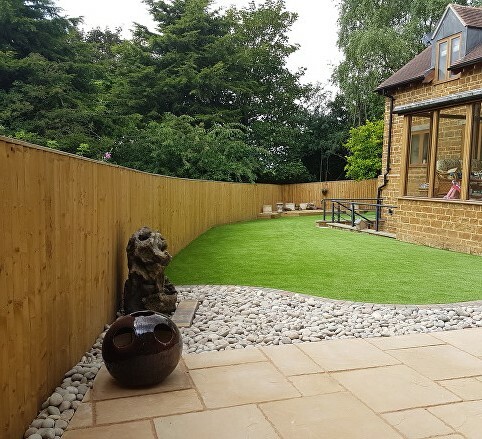 A 35mm artificial grass with a curled green and brown root system and a two tone mix of conifer green blades. 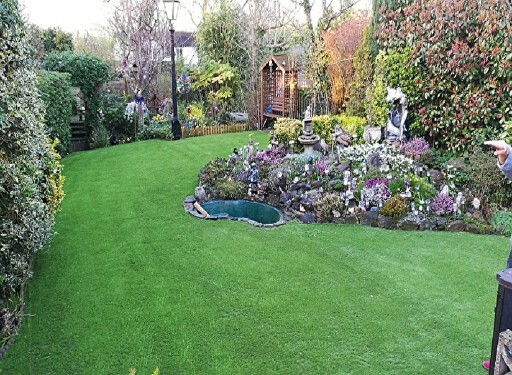 This luxurious and top quality artificial grass is ideal for those who prefer a longer pile looking grass. The 2 tone mixture of darker greens make this grass look very realistic. 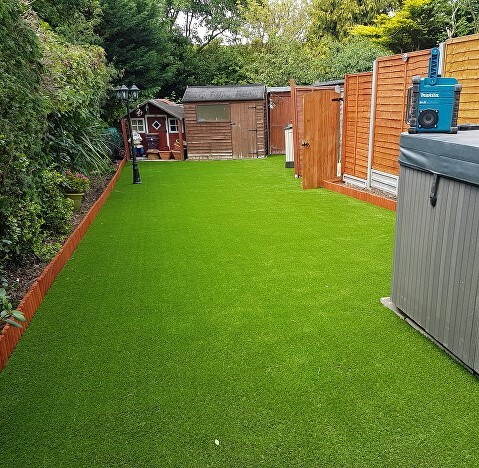 Woven onto a synthetic backing, this thick and dense grass is pre-hole punched to allow for water drainage. 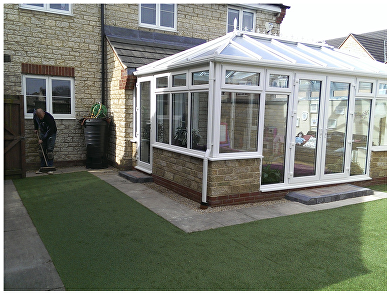 Perfect for all garden uses this pet and child friendly grass comes in 1 to 4mm widths.